Apple has updated its Apple Music tools website with a new interface that allows subscribers to sign in and play full songs, albums, and playlists within embeddable widgets, leading to speculation that the company could be about to introduce an Apple Music web client. 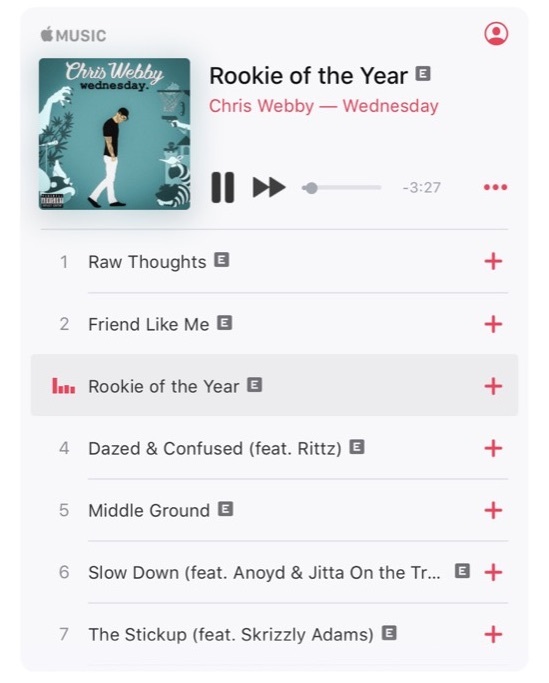 Apple has been hosting the tools URL to let artists download Apple Music badges and generate embeddable widgets for promotional use on their own websites and blogs. Previously it was only possible to play 30-90 second sample tracks in widgets. However, a Reddit user discovered that after logging in with their Apple Music credentials using a sign in button, they were able to search for and listen to full songs, albums, and playlists through the site, as well as add songs directly to their Apple Music library without being kicked out to another app. 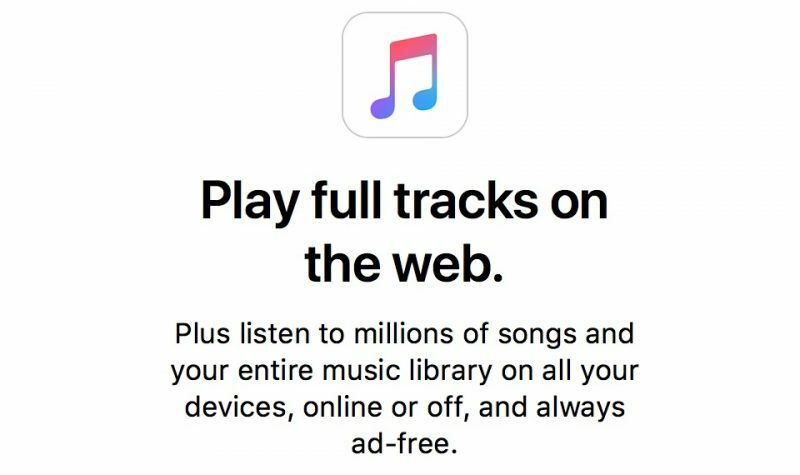 While it's still not possible to browse your library, create playlists or see what friends are playing on the site, the change does suggest Apple could be preparing a full-fat Apple Music web client to compete with existing offerings from the likes of Spotify. You can learn whether Apple announces that a web player is in the works today and keep abreast of all other Apple-related developments at WWDC right here at MacRumors. We'll be in attendance at the keynote, set to start at 10:00 a.m. Pacific Time, and be sure to stay tuned to our @MacRumorsLive account on Twitter, with live coverage of the event beginning shortly after 8:00 a.m. Pacific Time. The first step in eliminating iTunes! Hopefully not. The current version of iTunes has some interface problems, but it is still the most powerful application for managing large music and movie libraries. None of the other music/movie services have anything comparable. It's one of those things many like to complain about, but I bet it would be bitterly missed if it were gone. My hope is that they bring back the focus that iTunes once had in older versions. I use Apple Music on iOS, Mac & CarPlay. The volume levels on a huge number of tracks are not consistent (especially older tracks from the 90's, 80's etc). It has nothing to do with my car, Mac, iPhone or iPad. The problem is the source. There is a setting called Sound Check which is meant to avoid this problem. Realistically, I think, iTunes will almost certainly never support FLAC. The audio codec is probably less of an issue in the matter than including support for yet another container format that Apple has absolutely no control over and making it play well with all of iTunes' metadata management functionality. That would just add unneeded complexity that they're trying to reduce, and result in little to no benefit when you consider that files encoded in FLAC can easily be converted into the fully-supported ALAC without any loss of fidelity. Support for playing and importing CDs I also see going away sooner rather than later, considering none of the Macs in Apple's current lineup have optical disc drives built into them. There are lots of great third-party apps, including XLD ('http://tmkk.undo.jp/xld/index_e.html') – my personal favorite – for anyone who who still has a need for that functionality. I'm sure iTunes will continue to allow you to import files from external sources. The likelihood for either of these features appearing in an all-new iTunes successor seems so small as to not even being worth to consider. Let's just hope Apple allows importing from other sources, and not just a "Buy it from us don't use it at all" approach. I just don't want to have to use multiple apps, or worse, devices, to listen to all my music. I hope I'm not becoming too much of a "Get off my yard!" old guy. I have used both, but jumped ship when Apple came with the student discount and I have to say that in the beginning I hated Apple Music. Now? It's gotten better and better. The 'For You' has finally (after a couple months) found what I like and stopped suggesting 100% Rap/Hip-Hop music, but is know spot on. Playlists are finally increasing drastically and updating frequently. Also the way Spotify handles local music is dreadful imo. But the two are here to stay and the fact that both are here is good for the consumer. - iOS app looks great and functions great. - Spotify Connect: quickly switch between devices and continue where you left off. Can't believe Apple didn't copy this great feature yet. Is is like handoff-mode for music. - [KILLER FEATURE] Music discovery: the default generated playlists are really awesome: seems that Spotify knows everything about my musical tastes within a week, while Apple had months of data and years of Genius data of my local library, yet the recommendations in For You are either very boring or completely wrong. Don't know which I am going to keep in the long run. Right now it seems when I want to play specific stuff I am looking for in my own library i use Apple Music. But when I want to be surprised and impressed by cool new music I fire up Spotify. Hard choice. Apple is sooooo close to the perfect music service if only their AI improves by 50-fold. This is about competing with Spotify. Your older tracks are not the problem. The problem is that new music is being compressed to have maximum loudness ('https://en.wikipedia.org/wiki/Loudness_war'), sometimes to the point of having the audio clipping out.